Yesterday, we attended the funeral of the young, beautiful, kind and loving, but hurting, Nuala Lunney, who a week ago today took her own life, leaving her father Phil and brother Tomás heartbroken, distraught and bewildered, and hundreds of other relatives and friends shocked and at a loss. 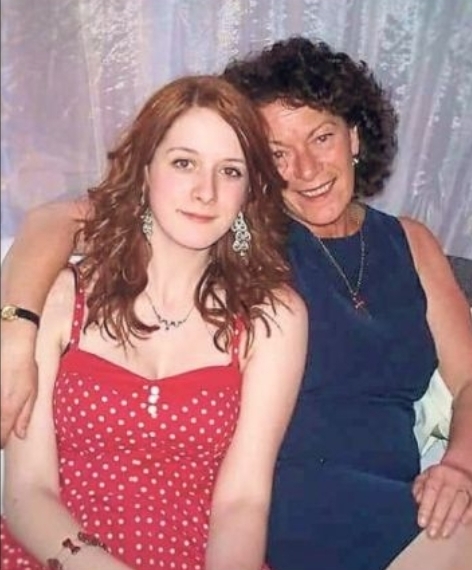 Nuala was twenty-seven and six months ago her mother, Tish (Holland), died following a short illness. My sister Margaret and her friend Patsy rode to school on imaginary horses. I told my mother that I could see no horses but she assured me that they were there, then winked. The ten-year-olds galloped home at lunch time and left their animals in the front garden to chomp grass. Our family loved Patsy, the youngest child of middle-aged parents. Shortly after we moved house from Andersonstown to the Falls Road, Patsy’s mother died, and Patsy, now living alone with her widowed father, would often come and spend weekends with us. One Sunday night Patsy left us, got the bus home as usual. She found the house in darkness and when she tried her front door key it wouldn’t turn the lock. She went to the back door but could only open it a little, as something was jamming it. She pushed hard, squeezed in, then smelt the gas, then found her father lying dead with his head in the oven, a photograph of Patsy and her mother in his hand. He couldn’t live without his wife. My mammy wanted to take Patsy in, and we all thought that would be exciting to have a new sister, but she had to go to live with an older sister, her husband and kids, in the countryside. At the start of the Troubles she married a neighbour of mine and they emigrated to Australia. So, 1963, at the age of ten, was the first time I ever heard the expression, “committed suicide”, and I always associated it with the surprise, self-inflicted death of a middle-aged person. 1993, 3rd January, night-time, a family grocery store at Lisnagleer Crossroads, Dungannon. UVF gunmen force their way into the store and through to the house. They open fire, kill father-of-four Patrick Shields and his twenty-year-old son Diarmuid and seriously injure Davog, another son. The insertion had been placed by twenty-year-old Julie Statham, an only daughter. Julie – a Queen’s University student – and Diarmuid had been devoted to each other for four years, had recently been on holiday together in Paris, and planned to announce their engagement in March. “When they killed my darling, they killed me too. I have tried to cope for an entire month. Despite my outward appearance I am dead. I may be breathing and moving but what use is that when I don’t have any emotions left inside me? Diarmuid had been her ‘Clair de Lune’ – literally, midnight. I have never been able to listen to that haunting piece of music by Debussy without being reminded of this young woman, without being reminded, from my childhood, of Patsy’s father and all those other souls who followed into the dark loved ones they could not live without.